Right here at this underpass, less than a mile from where I live, is a homeless camp, which has been a hotbed of crime. Two nights ago, right behind where I’m standing, one camp member attacked another, leaving him in critical condition. The homeless issue, to the degree we’ve seen it, is less than five years old. And we’ve all seen it – homeless camps popping out of nowhere, right and left, like mushrooms. And with them, crime, drugs and filth. This is not a poverty issue, it is not because the local factory shut down and hardworking people got kicked out of their home, and it’s not an “affordable housing” issue. No, it’s because of laws passed by the Democrats which have hamstrung police departments from dealing with the problem. Props 47, 57, and AB 109 turned an effective penal system into a revolving door that just gives vagrants and drug addicts a slap on the wrist before letting them out again. So long as someone isn’t committing any major felonies, they can now sleep wherever they wish. State Democrats created the homeless crisis with these laws and policies, and their goal isn’t to fix it, it’s to subsidize it. Their plan is to tax and regulate all of us until they complete this noble mission of finding every homeless person a home. If you’re thinking this solution is nonsensical, with no end in sight, you are absolutely correct. This will only lead to ruin for us, our neighborhoods and everything we loved about this fair city. The solution is really a simple matter of bringing back proper policing. We Republicans believe that public safety is a public good with a public solution. Everyone has the right to live in a safe community, everyone has a right to proper and competent policing. The Democrats have abandoned this commitment to public safety. They’ve abandoned their share of responsibility for where we live and work. It is time to vote them out and bring back those who will hold up their end of the social contract. I will happily bear this burden. 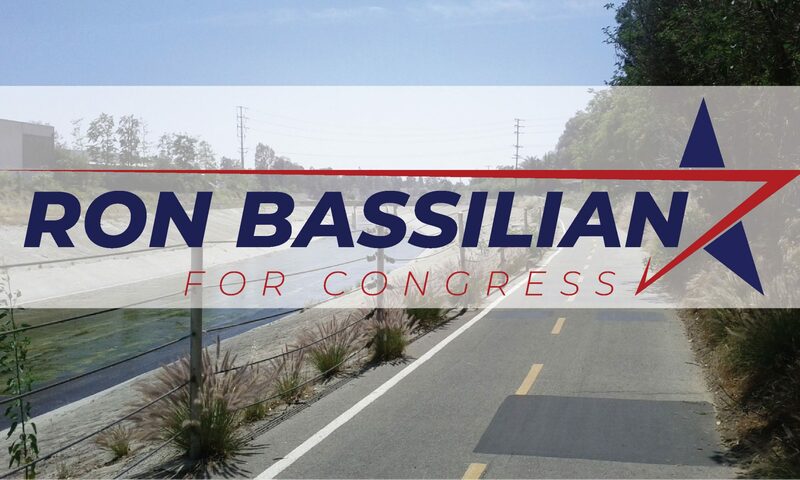 Vote for Ron Bassilian for Congress this November. Next PostNext Who is Thomas Wictor?